Hardcover Demand. Automated Binding Solutions Support Hardcover Applications for Shorter Runs. Several methods for producing a casebound—or hardcover—book are practiced, including case binding. Hardcover books are attractive for their durability and high-end look. However, the process of making hardcover bound books is often manual and time consuming. When digital print is part of the process, an automated binding solution becomes more important. “New digital print processes have fundamentally pushed the industry towards ultra short run lengths, and at the same time, opened doors for the creation of new products. 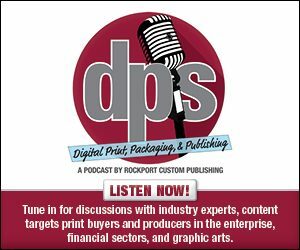 Manufacturers of the latest generation of print engines have pioneered on demand book printing and demonstrated how book-of-one production can be cost effective,” says Kurt Richter, president, Photobook Technology. The appeal of hardcover books comes from the associated quality and durability. Texbooks, coffee table books, yearbooks, photobooks, and law books are often produced in hardcover. “These products are not just expected to last for years, but are often required to do so by industry mandates. In addition, within the consumer book trade, titles projected to sell well are typically released as hardcovers to reflect a more high-end appeal—as well as a higher price point. As hardcover progresses through its sales cycle and falls to backlist status it is often re-manufactured with a softcover at a lower price,” explains Jim Kaeli, solutions manager, book technology and hardcover, Muller Martini Corporation. However, on demand solutions are now available and target digital print environments. At the same time, the adoption of high-speed production inkjet takes hold, presenting more opportunity for higher digital run lengths and higher value binding techniques. The techniques for producing hardcover books include case binding, sewing, and flexicase. Kaeli says perfect bound case books is a common method for hardcover binding. “A perfect binder gathers signatures, adds endsheets, mills the spine, and applies adhesive and capping material. The book block is then trimmed and proceeds to a casing-in line where it is married with a case to produce a finished book,” he explains. Case makers traditionally provide a way to bind hardcover books more than 60 pages. Casing in machines are used to assemble books from an unbound book and cover, which are then fastened with glue. Benefits include durability, quality, longevity, and perceived value. Case binding is recommended for digitally printed applications; however the casing in line should be configured for ultra-short-run production with a touchless workflow, suggests Kaeli. A touchless workflow provides intelligence to expedite the processing of digitally printed products to improve the efficiency of ultra-short hardcover production. The limitations of case binding include the amount of equipment/investment needed to produce hardcover books. Kaeli points out that with softcover production, a perfect binder is sufficient. With hardcover, you need to have a casemaker to produce the cases, independent of whether it’s a case or flexible case. Because of the higher quality perception, hardcover binding often involves ancillary materials/processes including ribbons, headbands, and foil stamping—all which Kaeli require additional equipment or components. Muller Martini offers two distinct case binding brands—Muller Martini and Kolbus—each offering unique capabilities. “Our portfolio enables us to better match the case hardcover platform to a customer’s specific needs,” offers Kaeli. The company does not, however, offer entry-level tabletop equipment. The Diamant and Kolbus BF series are offered for casing in. The Muller Martini Diamant MC is capable of producing at a rate of 35 or 60 cycles per minute. Motion Control Technology ensures the highest level of flexibility, quality, and productivity, allowing users to produce a range of products. The Kolbus BF 513 bookline, which is now offered by Muller Martini, helps users reliably produce large print runs using conventional printing processes with quick processing times. But it can also expertly handle individual products or small print runs with size changeovers from digital print products. Thanks to its user-friendliness, the BF 513 is well suited as an introduction to industrial hardcover production. It provides the highest product quality even when used for a range of applications. Another example of an on automated casing-in hardcover finishing solution is the mitabook by Photobook Technology. The mitabook is a fully automated casing-in line, requiring minimum floor space and operated by one person. The machine marries pile feed blocks and cases into precisely cased-in and joint formed hardcover books at speeds of up to 400 books per hour. Varying block thicknesses and corresponding width of spine inlay of the case are measured in production mode and it adjusts to the changed dimensions automatically without interruption. To keep pace with the mitabook, Photobook Technology developed an automatic casemaker for the production of hardcover cases—the mitacase. The mitacase is designed with the same criteria as the casing-in line. It operates with animal glue, which is automatically kept to constant viscosity levels. A suction arm picks up the components of the side boards and center piece and transports this combination through all working stations, head, tail, and side turning in—tucking in the corners and final pressing without releasing them in the work process. The result is precise book cases at the delivery station. On the other hand, sewing is a method in which threads hold the individual signatures together instead of adhesive. Endsheets are added as before and adhesive applied to stabilize the spine and attach the capping material. “Sewing produces a very strong, high-quality book with very good layflat characteristics. In addition, a sewn book has the benefit of longevity because the threads don’t wear out, so each page stays intact,” suggests Kaeli. An advantage of a sewn book is that its spine can be more easily rounded since there’s no glue to inhibit the rounding of the book, as occurs in perfect bound binding. “A station in the casing-in line features rotating rollers that force the center of the book upwards and produce a rounded spine. This has greater aesthetic appeal when compared to a flat back and also allows the book to be more easily opened,” says Kaeli. For sewing, Muller Martini offers the Ventura. To support the demand for short-run hardcover production, the Muller Martini Ventura MC Digital combines digital printing with tried and tested art of book binding. The Ventura MC Digital stands out thanks to its Ventura MC technology with an upstream pocket folding system and processing folder. With this combination, up to 9,600 digitally printed signatures are folded inline and thread sewn per hour, with sizes up to B2. For FlexiCase, Kaeli says the case is a flexible soft cover material that’s not as stiff as a hardcover case. “These cases are considered a niche product and are valued since books with flexible cases are easier to carry and are often designed to fit in a pocket—like travel, language, and nature guides.